SOUTHLAKE, Texas--(BUSINESS WIRE)--HeartSciences, a medical device company developing next generation ECG devices using continuous wavelet transform (CWT) signal processing, is proud to announce its participation as an exhibitor at the upcoming 2018 Scientific Sessions of the American Heart Association (AHA). The AHA Congress will take place November 10-12, 2018 at the McCormick Place, Chicago, Illinois. 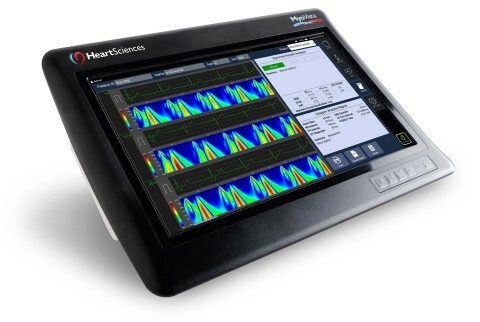 HeartSciences will highlight its MyoVista® Wavelet ECG (wavECG™) Cardiac Testing Device as well as recent clinical study results published in the Journal of the American College of Cardiology (JACC). In addition to the proprietary informatics, the MyoVista wavECG Device also features the capabilities of a full featured 12-lead resting ECG including analysis using the Glasgow Algorithm, one of the world’s most respected interpretive algorithms. The device has a 15.6-inch high-resolution touchscreen display and incorporates many features commonly associated with a tablet device requiring minimal user training as well as easy and intuitive use.